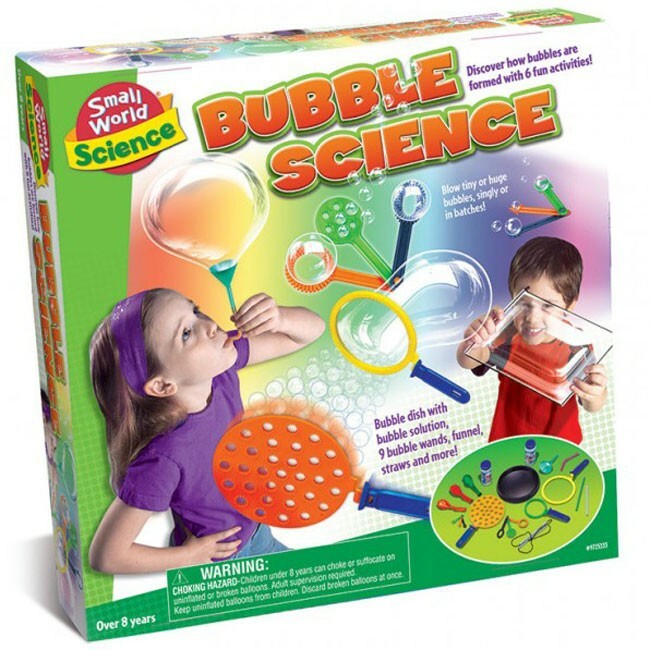 Explore the wonderful world of shiny bubbles with this new fun science kit for children. 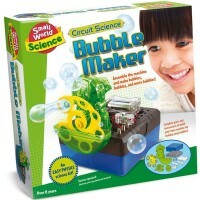 Bubble with laughter and joy doing activities from this Bubble Science Kit by Small World Science. Explore the wonderful world of shiny bubbles with this new fun science kit for children. 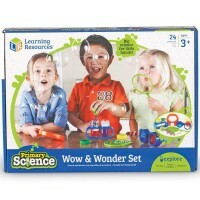 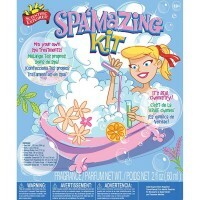 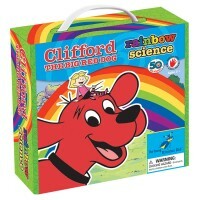 With this Educational Toys Planet's bestselling science set, you can do 6 different hands-on activities with bubbles. 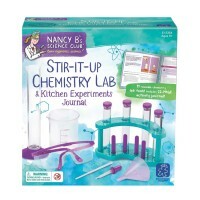 The bubble science kit contains 2 bottles of bubble juice (1.7 fl. 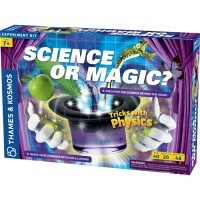 oz), 5.5 inches in diameter bubble dish, 3 balloons, 4 straws, funnel, 9 bubble wands, and a pair of straws on a string. 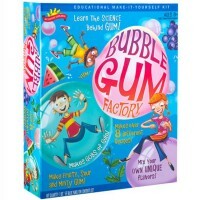 This bubble science kit is a terrific learning activity for summer camp, or playdate with a friend. 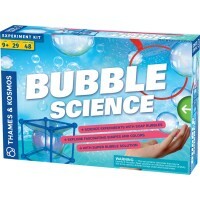 Dimensions of package 2.36" x 11.81" x 11.81"
Write your own review of Bubble Science Kit.